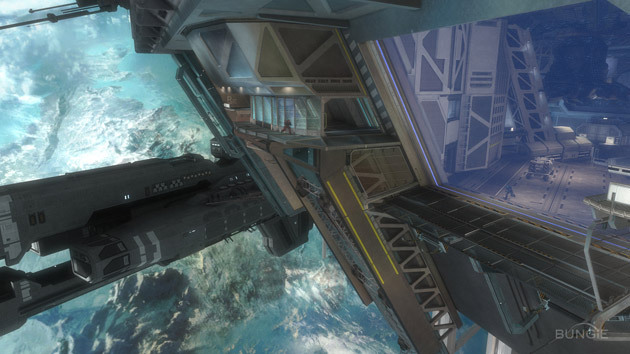 Bungie has announced the very first map pack for Halo: Reach. It’s called the Noble Map Pack, and it’ll be available on November 30. You’ll have to cough up 800 Microsoft Points (around $10) to partake. There’s 250 Achievement Points up for grabs. The pack contains three new maps: Anchor 9, which looks to be some sort of space-dock; Tempest, a map that hugs the coastline with a Citadel-looking thing in the background; and Breakpoint, which looks like that one level in the game with the snow and you had to defend some area against a constant supply of Covenant. It was toward the end of the game, and clearly I don’t remember the name. Each map works with a variety of game modes.